With the arrival of both the Sony Alpha A7R III at the back end of 2017 and the more enthusiast-orientated Alpha A7 III in early 2018, speculation has been growing as to when we're likely to see an update to the more video-focused Alpha A7S II. Launched back in 2015, the Alpha A7S II is starting to look like the odd one out in the range, with the likes of Panasonic's Lumix GH5 and GH5S having the edge when it comes to video capture. Don't get us wrong, it's still a solid option, but not our first choice for 4K video capture. So what can we expect to see from a Alpha A7S III? With limited rumors floating around at the moment, we've tried to distill what we do know into one handy place, as well as using our own tech knowledge to build a picture of how the Alpha A7S III might look. SonyAlphaRumors.com has gleaned information from two trusted sources that potentially reveals some of the spec we're likely to see in an Alpha A7S III. While the resolution of the new sensor isn't known, it's rumored to have a stacked CMOS design with integral memory, while the sensor will be technically superior to the one in the flagship Alpha A9. What's our guess on resolution? If Sony is intending to have the Alpha A7S III shoot 4K footage and nothing higher, then we could see resolution stick around the 12MP pixel count that we've seen with both the A7S and A7S II. A higher resolution isn't necessary for a primarily video-orientated camera, with the pay-off being larger pixels for greater light gathering capabilities. Should Sony try and push this further and launch a 6K (even if its downsampled to 4K) or an 8K capable camera, then a higher-resolution sensor than this will be needed. For 6K you'd need a sensor with at least a 24MP resolution, while 8K would demand a sensor resolution over 33.1MP. 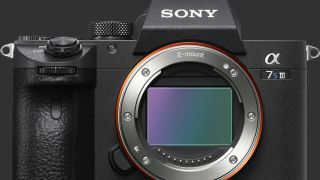 Interestingly, details of a new Sony 36MP sensor has leaked online that's capable of shooting 8K, so it's not beyond the realms of possibility that we could see an 8K enabled Sony Alpha A7S III. We're expecting a big improvement in video features for the Alpha A7S III. Currently the A7S II can record UHD 4K video (not DCI 4K which is slightly wider at 4,096 x 2,160 pixels), while it can only do this up to 30p. The A7S II is also only capable of 4:2:0 8-bit recording at 100Mbps internally (though it can record externally at 4:2:2 8-bit), while the likes of the Lumix GH5S is able to record at 4:2:2 10-bit at up to 400Mbps. With that in mind, we'd certainly expect to see DCI 4K capture at 60p, while we wouldn't be surprised to see 4K HDR video recording at 60p. We'd also expect to see the A7S III record 4:2:2 10-bit internally as well. Interestingly, according to SonyAlphaRumors, Sony is finalizing a new H.265-based professional codec. Known as XEVC, and a successor of XAVC, the new codec is rumored to include 12-bit 4K and 12-bit 8K 4:4:4 capabilities, while 1080p Full HD can be captured at 240fps and 10-bit. We'll likely see the new codec in Sony's high-end FS7 camcorder replacement first, according to SonyAddict, but it could find its way onto the forthcoming Alpha A7S III as well depending on what sensor Sony opts for. Finally, it would also be good to see Sony lift the 30min restriction when recording video and offer unlimited recording. Just as the A7S II shared the same design as A7R II and A7 II, we expect the A7S III to use the same body as the current A7R III and A7 III. This will mean that the new video-focused camera will gain the same refinements as we've seen with the other two models. This includes the addition of a multi-selector joystick that greatly improves the handling of the camera, with AF point selection that much quicker to assign. Another bit of good news is the arrival of a dedicated AF-On button on the rear of the Alpha A7 III, making back-button focusing much easier, while the eye sensor is now deactivated when the rear screen is pulled away from the body. This means it's possible to shoot waist-level images without the feed cutting out and rather unhelpfully swapping to the EVF. If the same body design is used as the A7R III and A7 III, it'll make the body of the A7S III a touch thicker than the A7S II as well. Expect to see a predominantly magnesium construction, but it will be interesting to see if the back panel of the A7S III is forged from magnesium like the A7R III, or Sony opts for plastic like the A7 III instead. We're not expecting the A7S III to enjoy the same 3.8 million-dot electronic viewfinder (EVF) as the A7R III, we reckon the 2.3 million-dot EVF will get a magnification upgrade like the A7 III enjoyed, increasing from 0.71x to 0.78x. As we've seen with other recently announced Sony cameras, the rear 3.0-inch tilt-angle display is likely to offer touchscreen control, which should make both shooting and reviewing images and footage that much easier. We could see the Alpha A7S III announced as early as CES 2019 later this month, though Sony might be tempted to hold this back for a more video-orientated trade show like NAB in April. If that's too late, we could Sony opt to reveal it at Japan's CP+ imaging show at the end of February. Cost is a bit trickier to predict. The Alpha A7S II is currently around $2,399/£2,299, but this has seen the price drop quite a bit since launch, so we'd expect to see an A7S III launched around $2,999/£2,849.